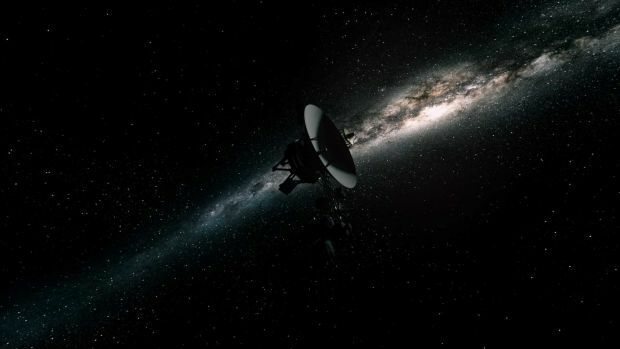 Another of my slate of screenings at the recent Edinburgh International Film Festival was this gem of a science documentary from Irish director Emer Reynolds, on one of the greatest feats of exploration – the Voyager missions. I’ve been a space geek for as long as I’ve been a science fiction fan, the two interests often cross-feeding one another (the great Arthur C Clarke incorporated new knowledge gleaned from Voyager and other missions into some of his science fiction writing). And I grew up with Voyager, launched in 1977 when I was just a kid, I followed the missions, in those long ago, pre-internet days through the old fashioned media of documentaries on the BBC, the Sky at Night and journals like New Scientist, right through to my teens and early adulthood as this long, long mission progressed, taking us on a “grand tour” of the outer planets and showing sights no human had ever seen before. The history and the science will be familiar to many who have an interest in space exploration, but this is a story that is well worth revisiting, because it is a magnificent triumph of ideas made real by clever engineering, and that human urge to explore pushing us further than ever before; our ancestors, be they European seaman or the great Polynesian navigators on wood and reed rafts, sailed vast oceans of the Earth, exploring, and with Voyager we sailed a sea of stars to the distant planets… And then beyond. 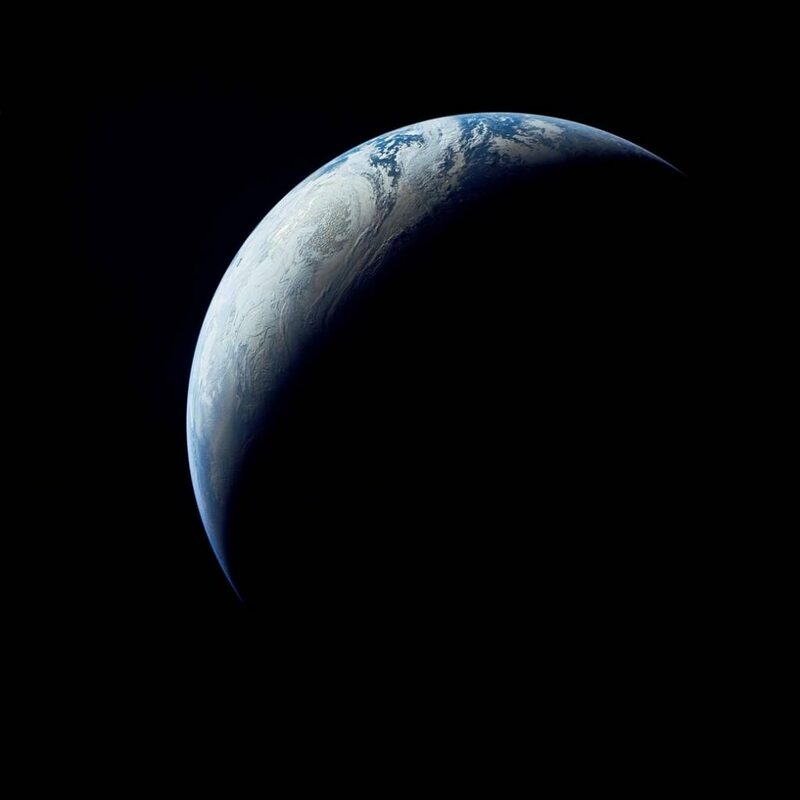 NASA and JPL opened their archives to the film-makers, and while anyone with an interest will have seen some of this, there is much here that has rarely, or never, been shown. A small amount of CG compliments the real Voyager footage to give us views of the craft themselves, but the images Voyagers 1 and 2 brought us are the main visual focus here; a beautiful scene shows a time-lapse montage of a planetary approach by Voyager, from its perspective, from distant disc to close-up details, even clouds. The clouds scudding across the skies of another world. Astonishing. 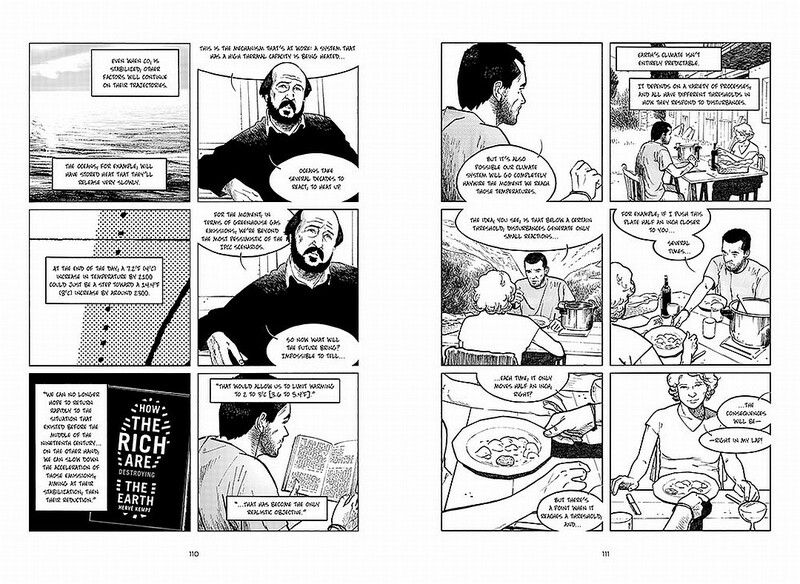 But the real heart here – as with The Last Man on the Moon, which I reviewed here last year – is the human element. The people who worked on Voyager. The engineers who designed them, the scientists who worked on the missions, the people who conceived of and executed the famous Gold Disc both craft carry, with two hours of music from different eras and cultures on Earth, and greetings in many languages, including one by a young Nick Sagan, Carl Sagan’s wee boy: “hello from the children of Planet Earth”. A message in a bottle, afloat on a galactic sea. 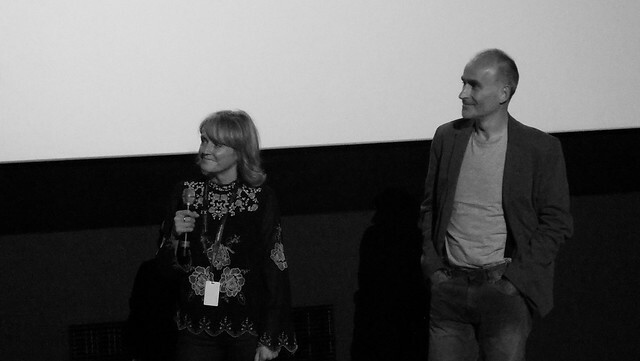 Coming through all of this film, Emer Reynolds draws out the science team, and brings genuine emotion to the film. 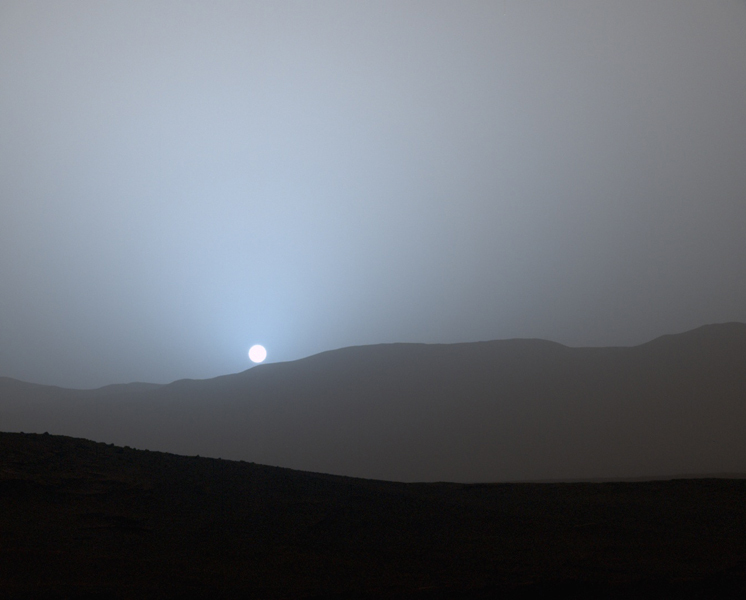 There’s huge pride at what they accomplished, taking advantage of a rare alignment of the planets for this astounding mission, and how they made new discoveries and saw things for the very first time that no human had even known about, let alone seen. There’s even a lovely bit of archive footage of a party after the final fly-by, when a special guest arrives to play music to the team – Chuck Berry. Of course he played Johnny B Goode, which is on the Gold Disc, and there among the celebrating science team is dear Carl Sagan, dancing happily to Chuck Berry. 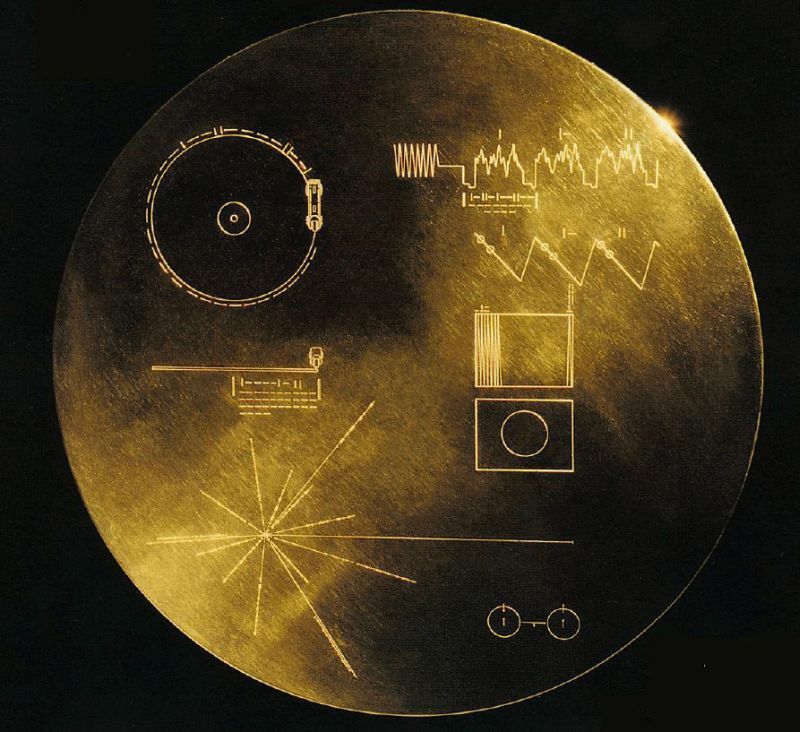 It’s unlikely any alien intelligence will ever find Voyager and get to play that disc, but as one scientist noted, it’s not impossible. 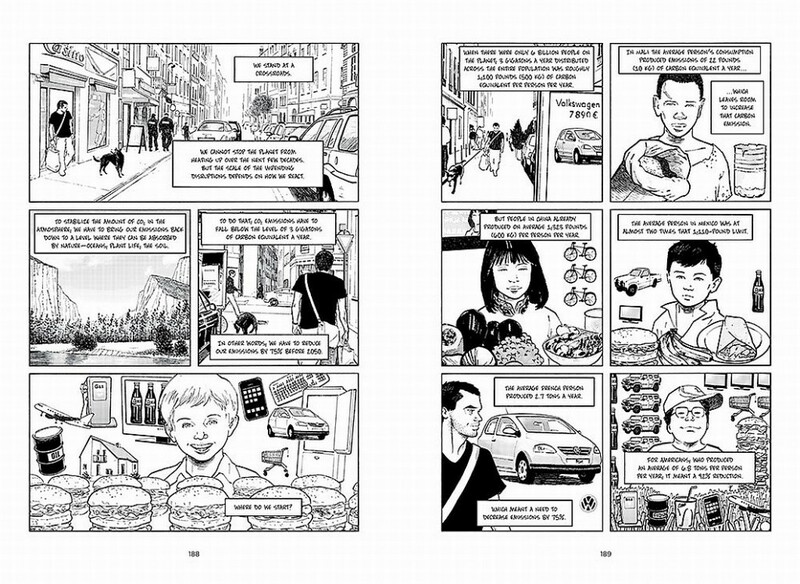 And the very inclusion of it was a mark of enormous optimism, a reaching out, here we are, we’re just learning our first steps out of the cradle, but look what we have achieved already, please contact us. If it isn’t discovered by some other species in the future, the craft will continue on, possibly outlasting the Earth itself, a slice of human culture preserved among the stars. And as the film notes, these remarkable wee craft are still working, forty years after launch. 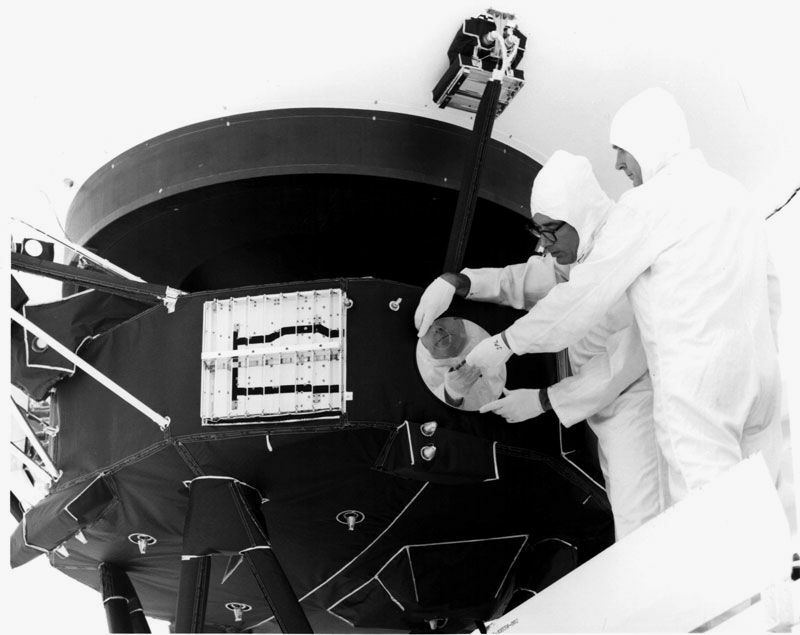 Their last encounter with the planets was long ago, but they still send daily data back home – one engineer commented that when they were launched back in 1977 the technology to receive signals from such a distant source didn’t exist, they made it while the probes flew on, to listen into a whisper in the cosmos. After the remarkable planetary encounters there was still science and wonder to be had, from the Sagan-inspired “family portrait” of the solar system (when he argued for turning the cameras back towards Earth, now not even a pixel wide to Voyager’s lenses, the “pale blue dot”), to seeking out the heliopause, the point where the influence of our sun ends, marking the boundary of the solar system. In 2012 Voyager 1, the fastest moving of the pair, finally detected the end of this influence; it officially crossed the boundary, leaving our solar system, the first human-created object into interstellar deep space. No wonder those scientists were so proud of what they accomplished. And one day, when the power finally fades, and those last reports dwindle into static, Voyagers will still have one mission as they continue on to the stars: the gold disc, humanity’s message in a bottle, that wonderful optimism that permeated the Voyager missions, that Reynolds brings out in her interviews with the science team in the film, will power that final mission, perhaps forever. This is a remarkable documentary, celebrating the ingenuity, the science, glorying in the wonders discovered, but above all it is about the people behind it, who built a dream and sailed it across the worlds. 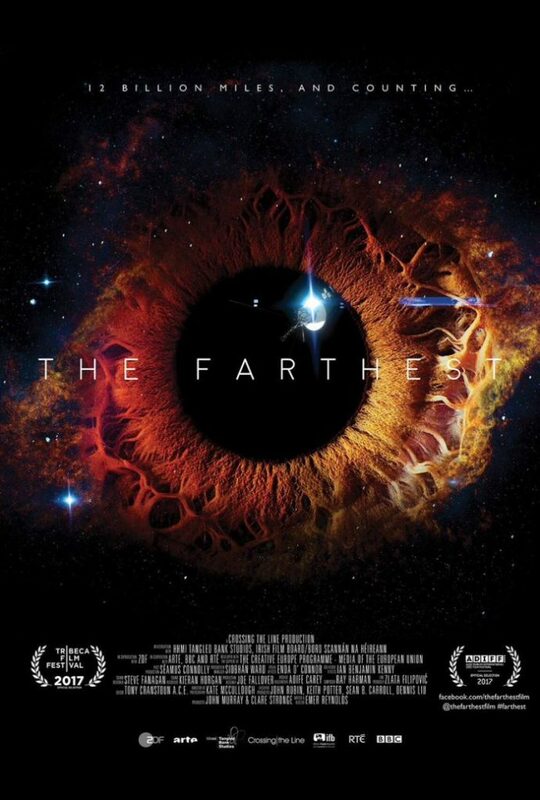 For anyone interested in science and space exploration this is unmissable. 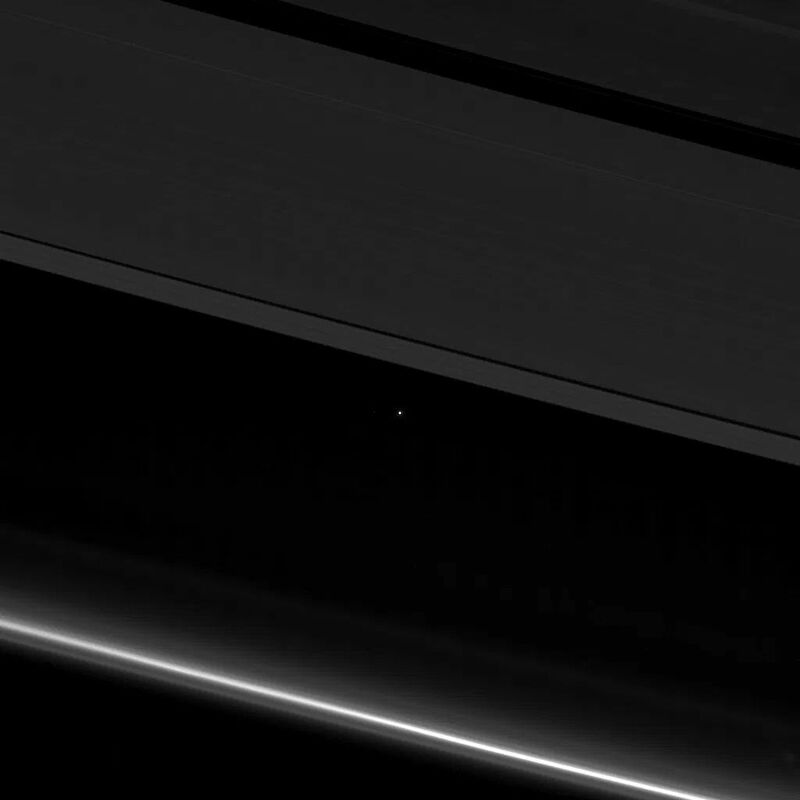 Taken by NASA’s Cassini probe earlier this month, the planet Earth is a bright pinpoint of distant light, viewed through the magnificent rings of mighty Saturn. Stunning. Those are the words of Gene Cernan, naval aviator, engineer and NASA astronaut, on his three days on the Moon as commander of Apollo 17. The last of the spectacular lunar Apollo missions. Gene was, quite literally, the last man on the Moon. Astronauts, cosmonauts, taikonauts, they’re a select cadre, a group who even now, more than fifty years after the first manned space flight by Gagarin, are composed of only a tiny group of people, the few who have flown above the clouds, above the very air we breathe, to enter space, to float around our glowingly blue world and see it as no-one else in the history of the world could have before space flight. 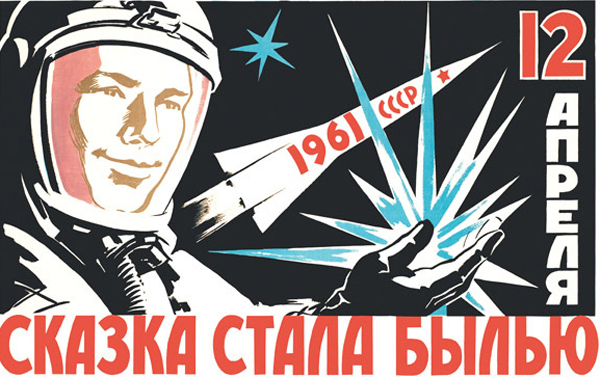 But among that select group the trailblazers of that first era of manned space flight stand out – Gagarin, Glenn, Shepherd, Leonov. These men really did go where no-one has gone before. Spaceflight is incredibly dangerous – you ride into orbit at vast velocity atop what is basically a carefully controlled series of explosions with a thousand things that can go wrong, to enter an environment Earthbound life was never meant to survive in, where a small mistake or fault can lead to death. And in the first years it was all entirely new – nobody even knew for sure if humans could live in space, could you even eat and digest while weightless in your orbiting capsule? 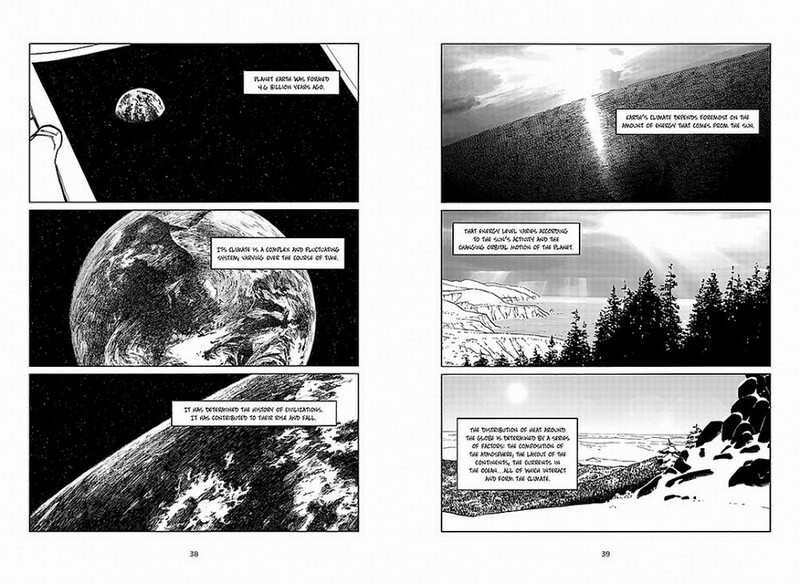 Would cosmic rays kill you or fry your electronics leaving you adrift before you could do anything? Could you survive re-entry? 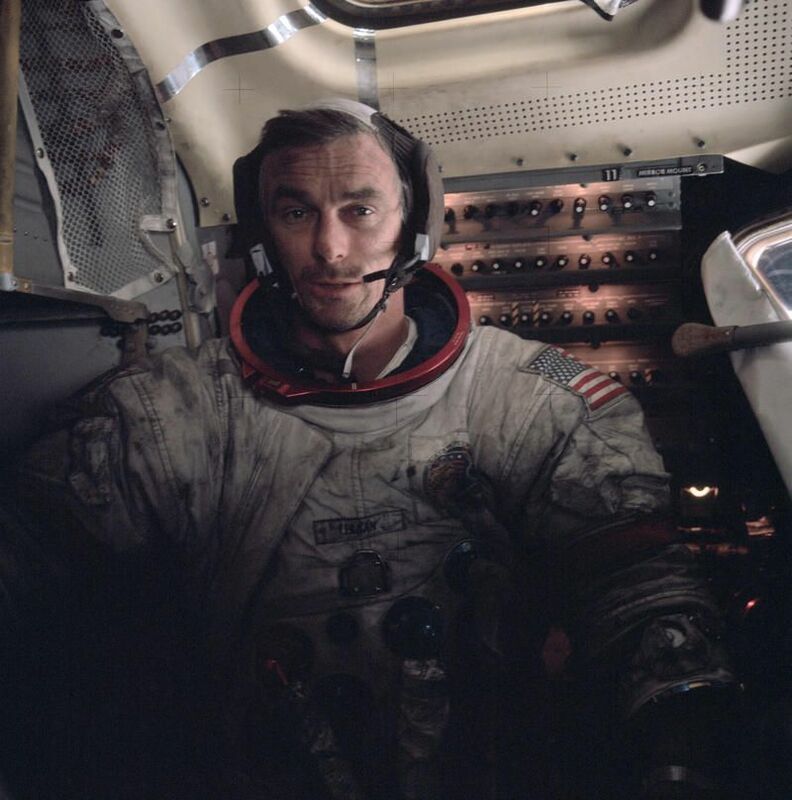 Cernan was there right in the earliest days, one of those elite pilots recruited for the astronaut corps, starting with the Gemini programme, and this film draws principally on his autobiography. 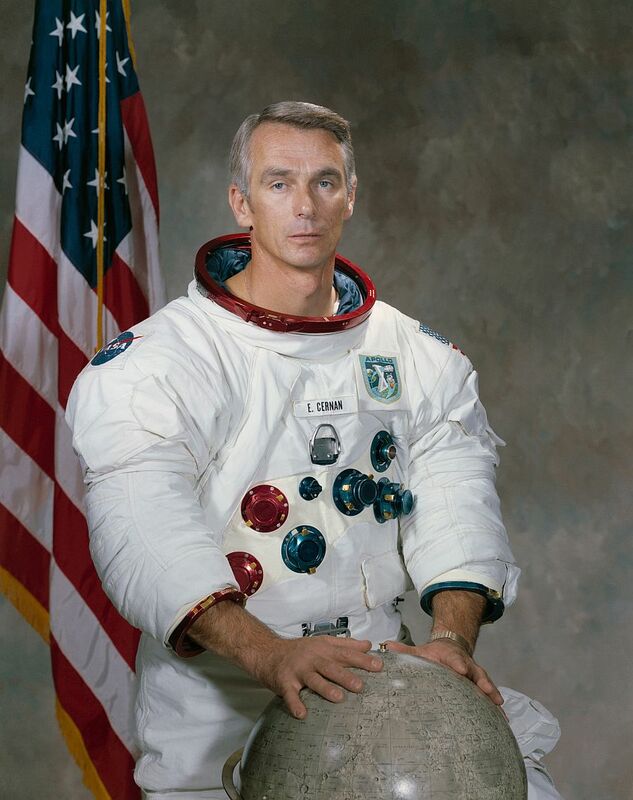 Cernan starts as the reserve crewmember but after an awful flying accident to the main crew he is moved up to the mission – rather mixed feelings, to say the least, getting his dream tickets, a chance to soar into space, but getting that first chance because his friend and fellow flyer died tragically. And that part covering the early years of Cernan’s life at NASA , sets the tone for this entire film – this isn’t just about those first astronauts, about the setbacks and the triumphs. Those have been documented many times – deservedly – but here we have a much more personal and importantly a much more emotional film. This is still about those gloriously heady days, pushing to be the first to reach the Moon, but it is just as much about the emotional and psychological cost for the astronauts and their families. “If you think going to the Moon is hard, you ought to try staying home” – Cernan’s wife on hearing of a flight mishap during Apollo 10. Cernan, to his credit, does not try to paint himself or his fellow Apollo astronauts who take part in this film as the simple, heroic figures history likes to portray. Which is not to downplay in any way the risks they faced, the amazing science and engineering it involved, the boundaries they pushed, the new frontier they charted. It was heroic. And like most things heroic it is too easy to forget behind those stories there is just a normal person – doing the extraordinary, to be sure, but still a person, like any of us. A person with loved ones around them who have to share that dream with them, who also have to sacrifice, who suffer emotionally. Not just the obvious worry over whether husband/dad/brother will come home safely. We’ve all seen those prim, seemingly serene NASA wives of the period watching the mission on TV with their kids and projecting the expected image of pride and confidence when really they were terrified of what could happen, but would never show it in front of the camera. And later he gets his ultimate reward – and what a reward, what the calls his “personal moment of reckoning”, command of Apollo 17. With cutbacks looming after several successive lunar missions, it will be the final one leaving some who trained and were ready for their mission to never reach that goal. 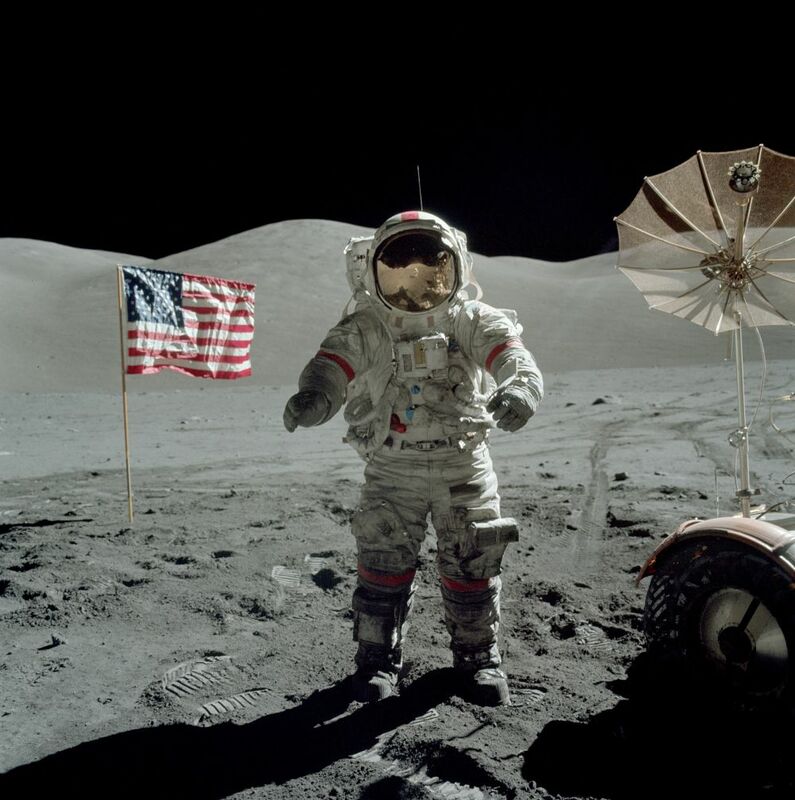 Where Armstrong and Aldarin have a short time on the surface the later missions had several days and the remarkable Lunar Rover, a hi-tech, Space-Age dune buddy for the Moon, so they could travel further and explore more, pick up more diverse samples to study back on Earth. And in an incredibly touching moment Cernan recounts how he parked the Lunar Rover for the last time, a little away from the landing module (LEM) so it could remotely film their take off. And as he dismounted to walk back to the ship for the final time he paused. And there in the ancient, dusty surface of the Moon he wrote his young daughter’s initials. Which, like Armstrong’s footprints will, in that airless vacuum, essentially remain there forever. As far from home as any humans have ever been, sacrificed so much home and family life to be there, to land on the Moon, and suddenly all he can think of is home and his wee girl. It’s beautifully touching. If any future mission – and who knew back then that almost four decades on we’d still not have returned – lands and visit the Rover, those initials will still be there. And the last man to walk on a surface not of our Earth climbed the ladder to the LEM and Apollo 17 headed home. But it still wasn’t over, not really. Hard to recall now, but the early astronauts were global figures, international celebrities in a way the preening media darlings of today could never dream of, with tens of thousands lining routes to wave to them on visit. 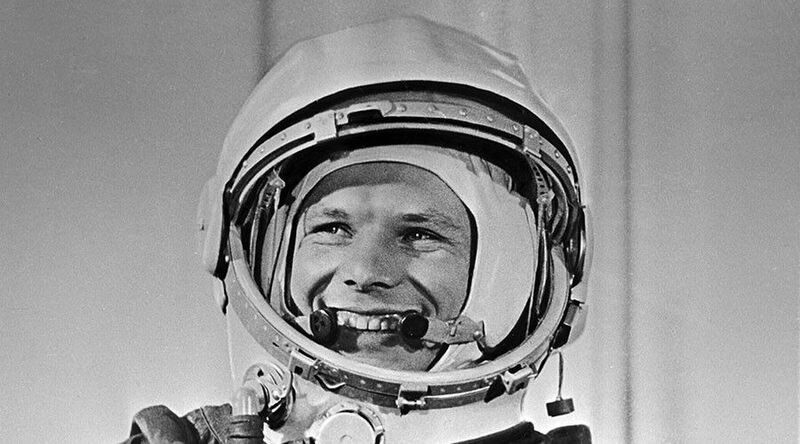 From Gagarin through to the Apollo crews, they travelled the world – presidents, celebrities, scientists, millions of ordinary people, all wanted to see them, to hear them speak, the glare of media followed them, and as Cernan’s then wife notes it becomes too much. They sacrificed for years for his training and the mission, and now it is over, but still they are in the spotlight – when do they get to be a regular family, have an ordinary life again? 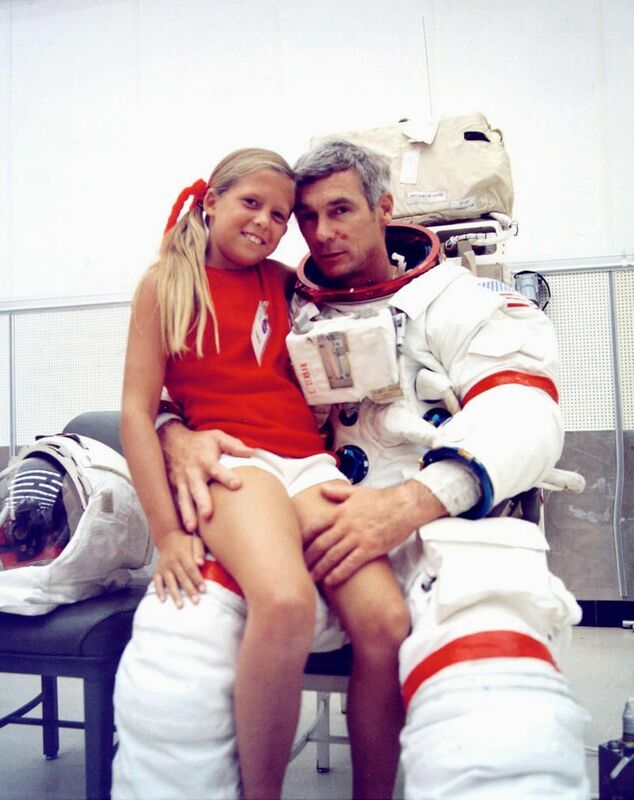 Too much for many – some sixty percent of the Apollo astronauts, including Cernan, would end up divorced due to the stresses and strains. 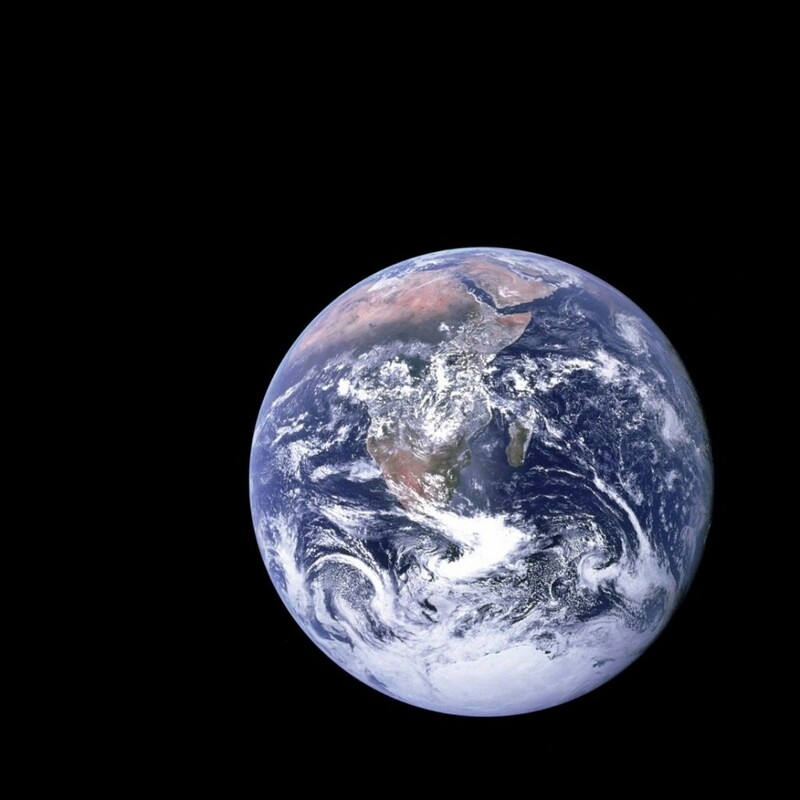 The physical return to Plane Earth was relatively gentle, a splashdown in the ocean, but the emotional and psychological effects of having to come back to Planet Earth, to real, daily life, was far bumpier. This emotional core is absolutely central to director Craig’s film here, and it gives a much more satisfyingly rounded and human insight into some of the most remarkable moments in recent human history, and those who made them happen. He doesn’t stint on the astonishing nature of the Moon missions or the glories of Apollo – period film, both NASA and family home movies and photos, all create visuals for both the missions and the families dealing with the effects of training for those historic flights, while some very well-done CG effects are added to the visuals, giving us a view we otherwise simply couldn’t have. But he balances this constantly with what it cost in terms of emotional and family life to do what they did. And there are some wonderfully emotional scenes from the present day – Cernan returning to the Cape, to the old Apollo launch pad. 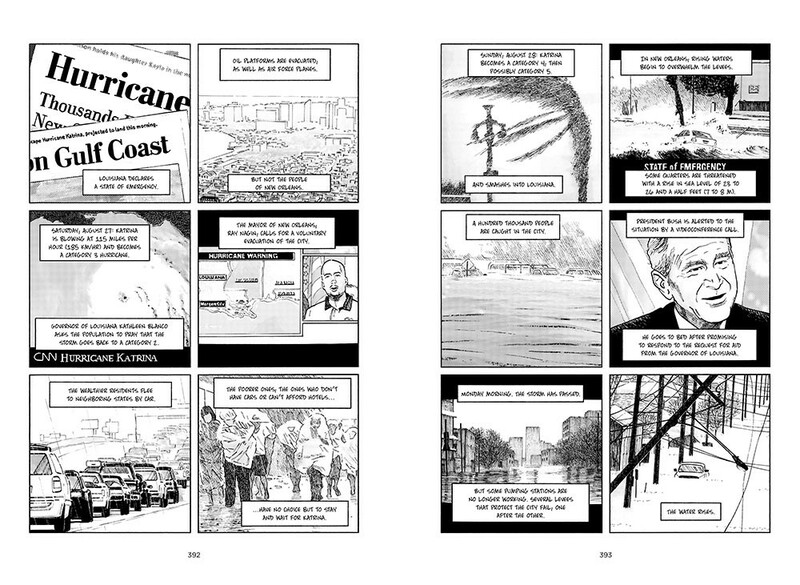 It looks like the sort of thing any good film-maker would shoot – the subject returning to the scene of their greatest triumphs, where it all happened, where the roar of the awesomely powerful Saturn V rockets lifted men not just into space but all the way to the Moon and back. Except towards the end it is clear Cernan has not entirely enjoyed this stroll down memory lane, looking at the now empty, unused Apollo launch areas and thinking that he really doesn’t like seeing it like this, that perhaps he should not have come back to see it this way. 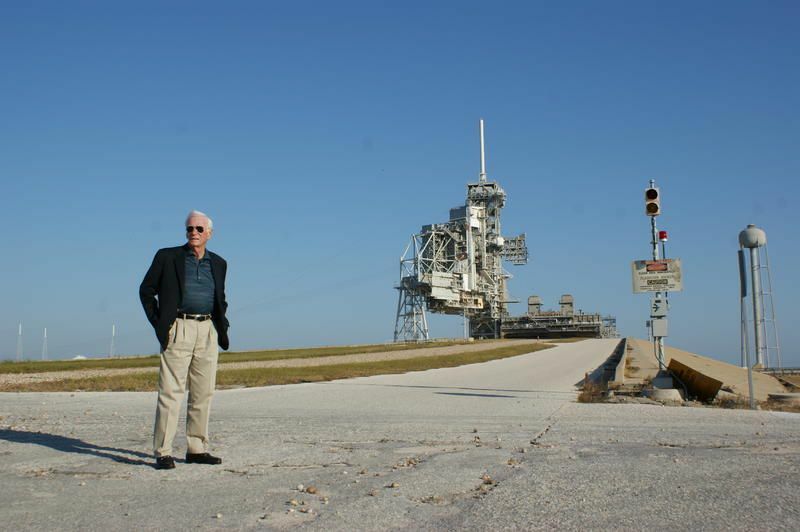 And in another immensely touching scene we see Cernan visit the Johnson Space Center, Houston. And there is the capsule from Apollo 17, from that defining, historic mission, the peak of his astronaut career. And it’s a museum piece, viewed by school children not born until decades after he flew in it. He looks at the capsule, still showing the raging fires of re-entry on the shell, and the dummy astronauts inside. Did we really do it, he muses, did we really reach out and do what humans have dreamed of forever, to touch the Moon? What was it all about? How do young people today see this item in a museum and the old man standing by it, looking just like anyone’s grandfather (and indeed he is). Was it all a dream? Did he really once fly in that small spaceship? What will people in another forty years or a hundred or a thousand think looking back at the Apollo days? I’ve been in love with the idea of spaceflight since I was a very small boy, born at the height of the Space Age; I’ve read and watched so much of the history of those times and those world-changing events. Despite all the documentaries I’ve watched, the books I’ve read, this film still stood out, largely because of that very emotional core, giving a hugely satisfying new insight into those remarkable Apollo days, the human side to the heroic giants who rode fire into the heavens. For fellow space geeks like me this is essential viewing, but for those who just enjoy seeing epic history being presented at a very human level, this is also a remarkable film. 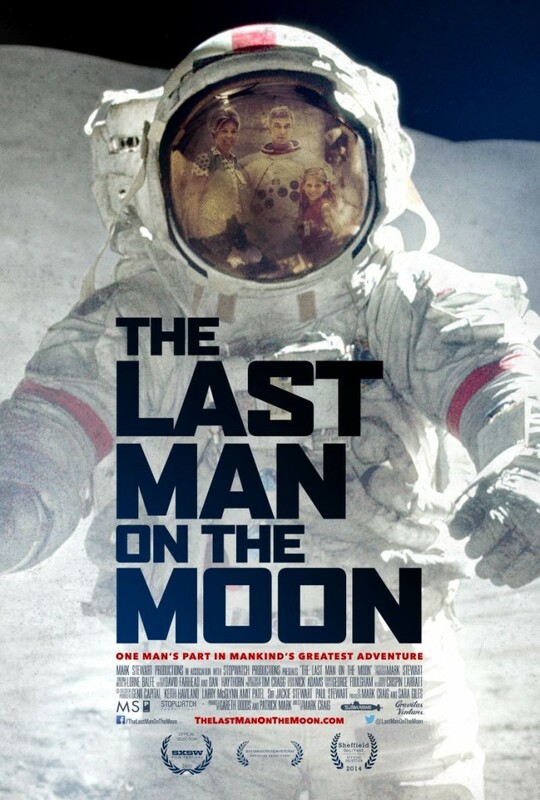 The Last Man on the Moon opens in the UK on April 8th, and there is a special screening with live link up for a Q&A with Gene Cernan on April 11th in many cinemas around the country. Space has always fascinated me, perhaps not surprisingly as I was born at the peak of the Apollo programme, just a couple of years before Neil Armstrong’s giant leap on the Moon. I had my little astronaut suit to play in, repeats of the original Star Trek, Doctor Who, UFO, numerous other Gerry Anderson shows – space and an optimism in the future and in our ability to learn to use our own brains and science to better humanity were popular topics (sadly so much more pessimistic today for many). I was a child of the Space Age and then grew up in the early Information Age, I had a stack of astronomy books on my shelves even as a kid (reader then, as now). And then there was Cosmos and Carl Sagan on the television. I read and read, by the time I was 9 or 10 I could tell you the difference between a Gemini and a Soyuz and an Apollo capsule, I knew who Kepler was and how his mathematics shaped our understanding of our solar system. 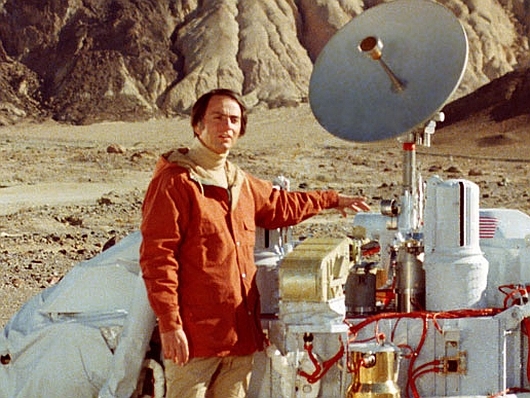 Carl Sagan – Cosmos (Trailer) (1980) from Xhulian Traja on Vimeo. Sagan’s books and his Cosmos series had a huge influence on me. I think his series and the programmes of the great Jacques Cousteau taught young me an enormous amount about science and what Sagan called “the awesome machinery of nature.” My brain was never terribly good with maths, so studying science at university was never likely, my thoughts were more wired to the arts and language, and I have no regrets over that because I am forever in love with words, but they, and my piles of related books, left me with a huge fascination for an and appreciation of science and learning. And space exploration and astronomy especially, but again there’s that thing about learning being linked – learning about theories of how the other planets became the way they are prompted me to read some geology to understand this better. As a kid I also loved dinosaurs (which wee boy doesn’t?) 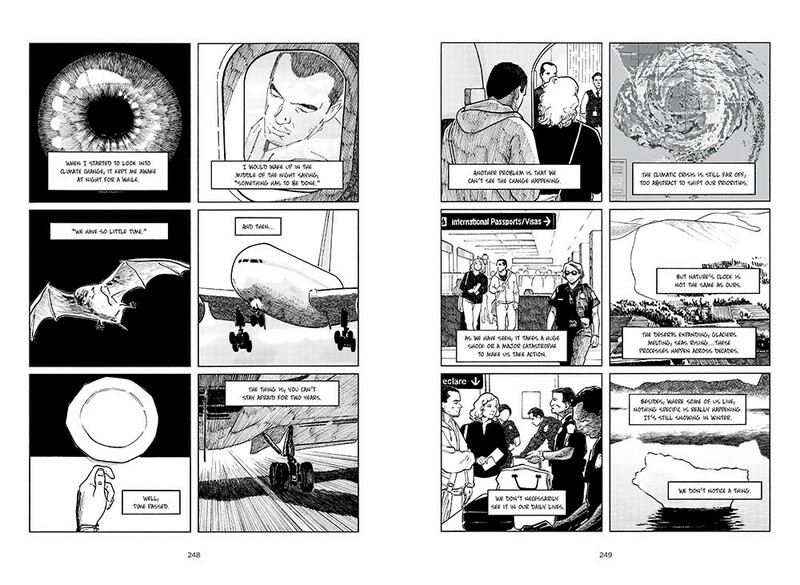 and of course that linked with geology, which also lead into theories of evolution, which in turn lead to books about why it is humans can think, have language, create abstract thought, the very faculties that allowed for astonishing things like space exploration. There it is again, link, after link after link, all adding layers of context to what was learned. And so this evening the much anticipated new Cosmos made its UK debut, with an introduction by President Obama, no less. Of course dear old Carl has been gone for a number of years now, but his influence is still felt, from his own opening narration and choice of similar location to that he used for his original introduction to the use of the ‘spaceship of the imagination’. And the new presenter, Neil deGrasse Tyson also embodies another link to Sagan – a joyfully personal one too, as he recounts at one point how as a seventeen year old student Sagan had invited him to visit. 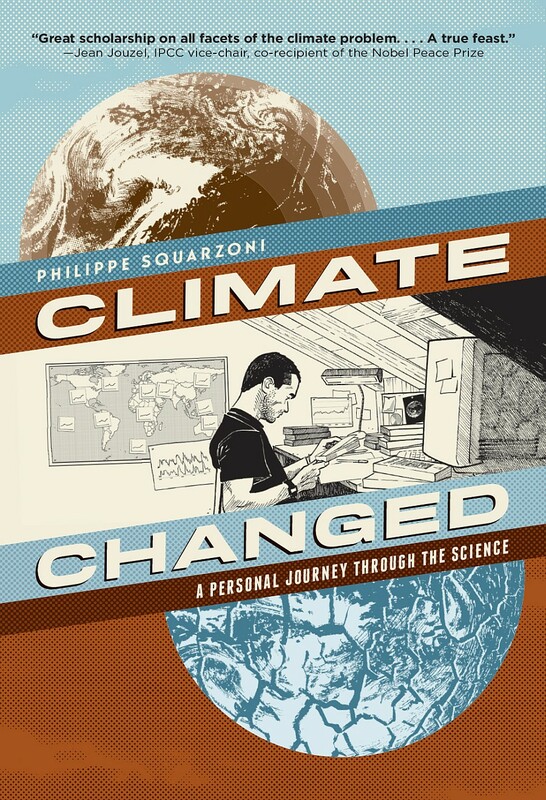 He arrived during heavy snow and Sagan talked to him, showed him his lab and offices at Cornell and presented him with a signed copy of one of his books (which he still has), an encounter which enthused the young man not only to a career in science but to emulate his role model in communicating science to a wider audience, to let everyone share in the knowledge and consider its implications and possibilities, which is important given how such matters often affect all of civilisation. Cosmos Trailer from Nat Geo Channels Intl Creative on Vimeo. And so the new show’s first episode this evening… The format is similar to the classic Cosmos, the mixture of astronomy but interspersed with history, both human history of ideas and understanding and the deeper history of our own world, solar system, galaxy and universe. Again, context, links, without which facts don’t mean much. Of course the graphics are vastly superior to the effects the 1980 show could ever hope to create (although back then I still remember marveling at them). But the most important quality, more important than the scientific facts, the history, the learning, was something Sagan gave me in the original, Cousteau did with his shows, Arthur C Clarke did with his books – and that is the quality of sense of wonder. Simple as that – a sense of wonder that makes you feel like a bright eyed child again staring at the stars and imagining and dreaming. And yes, the new show had that sense of wonder. 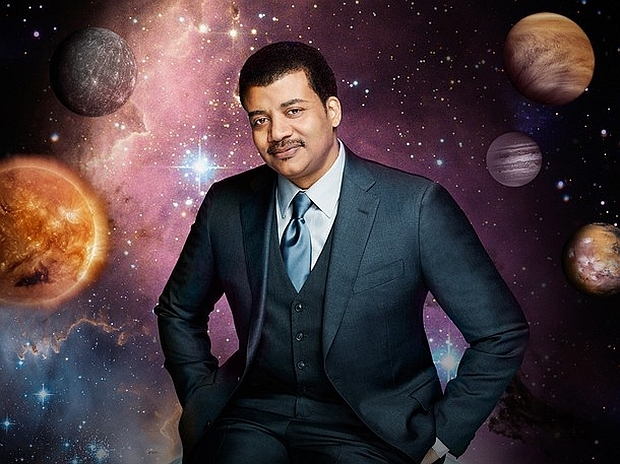 You can read a short interview with the new Cosmos presenter Neil deGrasse Tyson on the Nat Geo site.